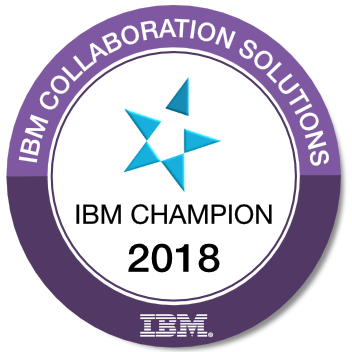 I didn't pay attention to this topic, but two weeks ago, at the Portal Excellence Conference in Chicago, IBM announced a vision and multi-year roadmap, namely "Project Northstar". Actually, I couldn't find any solid promise about this project, in terms of technical stuff. Is it a new product? New methodology? New interface scheme? But one thing I am interested in that IBM is possibly making a very shiny move pointing 'external customers' of its customers. Generally, IBM's messages have been mainly towards intra-organizations (business software, collaboration, etc.) or inter-organizations (B2B collaboration, integration, etc.). But Project Northstar emphasizes B2C interactions for companies. All products of IBM software have capabilities to build B2C solutions for different companies. I know many customers using Websphere Portal for customer self service applications, for instance. Giving this message on the table (at the sales meeting) is different than marketing it publicly. Let's take 'Lotus Knows' campaign as an example. There are over 40 messages at the homepage of 'lotusknows.com'. Only one message is directly related with B2C context: "Lotus Knows how to make your customer the center of the universe". It is not a criticism, though. Concentration is important. A more solid campaign like Project Northstar is far better than messing an ongoing one. I assume it presents a general outline for a new marketing campaign. We'll see more improvement in upcoming months. But if I understand right, Project Northstar will be an excellent leverage for collaboration products. I just listened to exceptional podcast hosted by Darren and Lisa Duke. The guest speaker was Brian Chaput, Offering Manager, IBM Websphere Portal and they were talking about Project Northstar. I am not a Portal guy. But aiming for B2C is very new. I don't remember such a direct move in the last 5 years, I guess. Just that it would expand your knowledge. I think it is still slightly nebulous from an outside for IBM perspective. My take away with TWiL was something akin to "As Vulcan is to Domino, Northstar is to Portal". It is not so clear yet, as far as I understood. We'll see in time. Have you listened to Episode 10 of This Week in Lotus? I think this will expand your Northstar knowledge.